This card can only be Summoned if you control a face-up "Celestial Sword - Eatos". If there are no Monster Cards in your Graveyard, you can Normal Summon this card from your hand without tribunes. Once per turn, you can Remove from play cards from the top of your opponent's Graveyard until you reveal a non-Monster Card. This card gains ATK equal to the total ATK of the Monster Card(s) removed from play this way. If this card is sent to the Graveyard by battle, you can Special Summon 1 "Guardian Dreadscythe" from your hand or Deck. 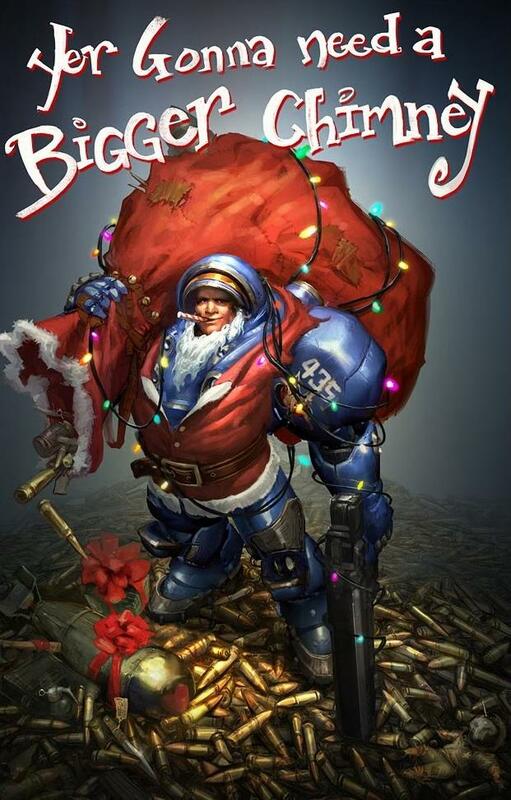 This card cannot be Normal Summoned or Set. This card cannot be Special Summoned except by the effect of "Orichalcos Kyutora". This card's original ATK and DEF are equal to the total amount of Battle Damage and Effect Damage negated by "Orichalcos Kyutora". When this card is Special Summoned, Special Summon 1 "Orichalcos Dexia" and 1 "Orichalcos Aristeros" from your hand, Deck, or Graveyard. 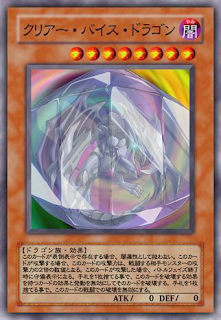 Each time "Orichalcos Aristeros" or "Orichalcos Dexia" battles, this card loses ATK equal to that of the attacking monster's ATK. If this card destroys an opponent's monster by battle, decrease the ATK of this card by an amount equal to the ATK of the destroyed monster. If this card is destroyed, Special Summon 1 "Divine Serpent" from your hand, Deck, or Graveyard. 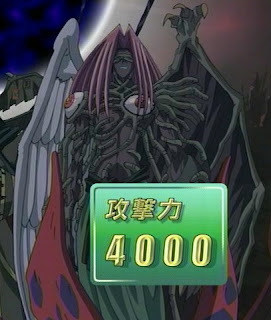 ATK/DEF: 4000/4000 Level 10 Fiend/Effect The controller of this face-up card is unaffected by the effects of "Darkness" and may arrange their set cards. Once per turn, you can set one face-up card on the field face-down. ATK/DEF: 0/0 This card is not treated as a DARK monster while it is face-up on the field. If this card attacks, it gains ATK equal to twice the ATK of the monster it battles until the end of the Damage Step. 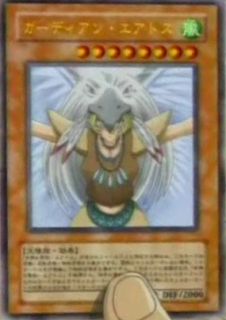 At the end of a Battle Phase in which this card attacks, it is switched to Defense Position. 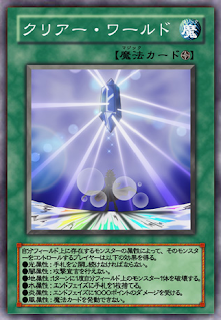 By discarding 1 card, negate the activation of a Spell, Trap or Effect Monster whose effect would destroy this card. By discarding 1 card when this card would be destroyed by battle, it is not destroyed. 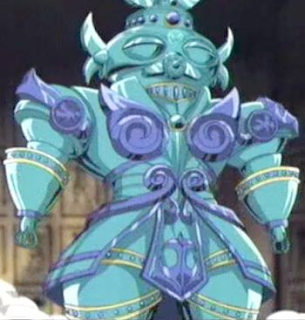 If a monster(s) of any of the following Attributes exists on the field, apply the appropriate effect(s) to that monster's controller:●LIGHT: Play with their hand revealed.●DARK: They cannot declare an attack.●EARTH: Once per turn, destroy 1 monster they control.●WATER: During the End Phase, they discard 1 card from their hand.●FIRE: During the End Phase, they take 1000 damage.●WIND: They cannot activate Spell Cards.